Most years of the TV season are full of heartbreaking moments, but 2016 was particularly devastating for a number of fandoms. There were brutal deaths, emotional goodbyes, heartfelt confessions, and any number of other traumatic experiences. This is our list of the top heartbreaking TV moments of 2016. Coming in at number one are the deaths of Glenn and Abraham on The Walking Dead. The murder of these two fan favorite characters was particularly brutal and difficult to watch. For the fans who loved these two characters, the episode was almost unbearable. Glenn was a part of the cast from day one, and losing such a popular character from the original group of survivors was a huge blow to everyone who loves the show. Even more than the deaths themselves, the other characters reactions to the deaths of Glenn and Abraham tore the souls of viewers apart. The performances were so moving, especially from Andrew Lincoln, that it even spawned the “Emmy for Andrew Lincoln” movement in the fandom. Coming in at number two is the death of Poussey in the season four finale of Orange is the New Black. Poussey was a fan favorite character, and her death is probably the most painful one in the show yet. The manner of her death made the experience of it even worse, because she was accidentally suffocated by a young prison guard when she was trying to help stop one of the other guards from hurting Suzanne. Her death was tragic and senseless, and left a lot of members of the fandom feeling betrayed, because like so many other characters this year, her death was an accident and felt unnecessary and meaningless. Coming in at number three is the death of Lexa in the 100. This death was met with outrage from the fandom, and sparked a debate about the treatment of LGBT characters in the media. The angry reactions to Lexa’s death were heightened even more by the way her character was killed. Lexa was shot by a stray bullet meant for someone else, just after she and Clark, the main female character of the 100, had cemented their relationship. Her death was not only a blow for lesbian relationships on high profile TV shows, but it was an accident as well. Coming in at number four is the death of Francis in the fifth episode of Poldark’s second season. Although not particularly brutal, Francis’s death came just when his character was really starting to develop, and he was well on his way to becoming a fan favorite. His death was particularly painful in that it was easily preventable. It was heartbreaking to watch him drown alone in the mine shaft knowing that Ross and his other friends and family members were up above searching for him. The scene was made even more cruel when it looked like Ross had rescued him, but it turned out to be a hallucination from Francis as he was dying. Coming in at number five is the death of Rickon Stark in Game of Thrones. Fans of Games of Thrones are used to seeing characters die. One of the main traits of the show is that no one is safe, but the death of Rickon Stark was incredibly hard hitting. It was an extremely cruel death because Jon was so close to saving him when he was killed with an arrow fired by Ramsay Bolton. We had hope, and then Game of Thrones took it away from us in an instant. Isn’t that just the way of Game of Thrones? 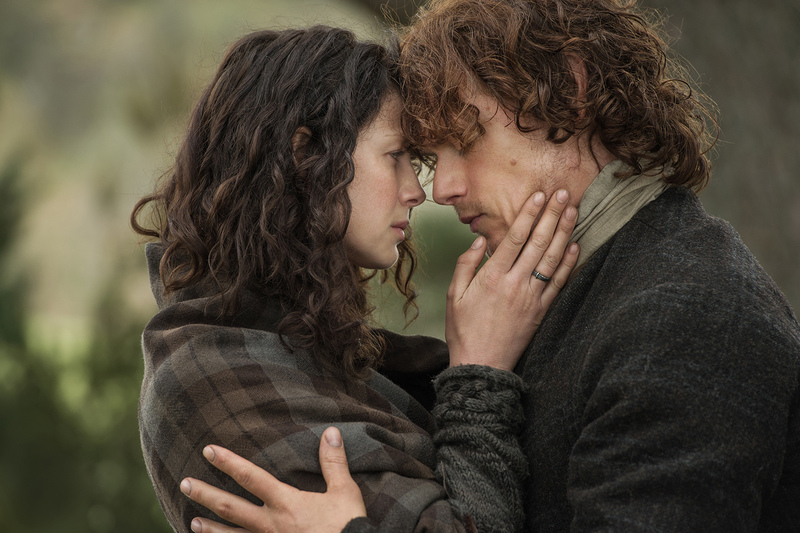 Coming in at number six is Jaime and Claire’s farewell scene in the Outlander season two finale. Although neither character died, their separation was devastating. Claire left Jaime and returned to her own time period not knowing if he would survive the battle of Culloden, or if she would ever see him again. They made the decision together in order to keep their unborn child safe, but seeing this wonderful couple torn apart in the midst of such pain and bloodshed was enough to push the toughest of fans over the edge. No breakup hurt worse than the moment Oliver and Felicity broke up following a huge lie and lack of trust that spelled the downfall for this couple. And not the first breakup. Somehow this second, more permanent breakup hurt all the worse as we watched Felicity make the very difficult decision to say goodbye to Oliver despite her love for him. Right after we watched these two be fake married but confess not-so-fake and oh-so-very-real vows that made our hearts melt. And just when you thought this was what would bring Olicity back together, we saw that it wasn’t. It’s proof that love isn’t always enough. You need to fight for a relationship. But it’s not even the breakup so much as it’s how the Arrow writers have handled these two characters since — namely in season 5. If this is their way of slowly rebuilding Oliver and Felicity’s relationship then they need some help jump-starting their rebuild. Coming in at number eight is the death of Lincoln in the season three finale of Agents of Shield. Lincoln sacrificed himself to destroy Hive while Daisy watched helplessly from the control room down below. She and Lincoln had really just begun their relationship when everything went wrong. Lincoln’s death pushed Daisy to leave S.H.I.E.L.D and become a rogue agent, and struck a chord with the Agents of S.H.I.E.L.D fandom. 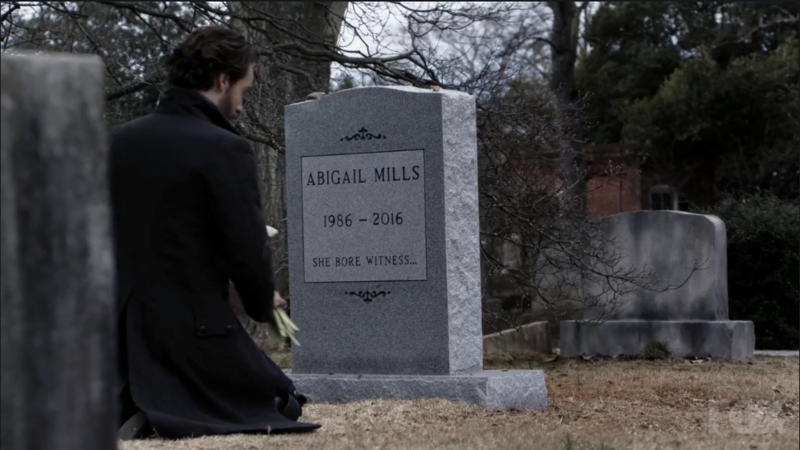 Coming in at number nine is the death of Abbie Mills in the season three finale of Sleepy Hollow. She sacrificed herself to save the world, but the death of a main character on a show is always a huge blow to the fandom. Her death also sparked controversy over the treatment of characters of color in television, with many seeing her death to be unnecessary. Coming in at number ten is the death of Lauren Lance in the season four finale of Arrow. After being stabbed by an arrow, Laurel seemed to be recovering in the hospital after surgery when suddenly she took a turn for the worse and tragically died with Oliver, Felicity, and the rest of the team looking on. Coming in at number eleven is Liz’s supposed death in season three of the Blacklist. It turned out that she had actually faked her death, but in that episode it seemed like she had died, and the reactions of her family members and friends were heartbreaking. Red gave an extremely tear jerking speech at the side of her death bed, and fans of the Blacklist felt his loss. Again, no one died, but boy, did this break out hearts. Mostly because, at the time, it seemed like maybe, perhaps, despite just confirming their true love, Emma and Killian were not going to get the happy ending they so deserved. And also because, in their final moments, Emma and Killian showed the true selfless nature of their love. He wanted her to be happy, and not to shut herself off from life, from love. She wanted him to find peace. And, though, in the end, they found their way back to each other, in that moment, well… our hearts broke. Even though we knew it was coming, Stiles’ disappearance was still heartbreaking. The moment he realized he was marked by the Ghost Riders was the start of a desperate attempt to stay present in our world and not be forgotten. His efforts were for nothing, though, and we had to watch as his friends and his own father failed to recognize who he was. A spark of hope came in the form of Lydia remembering Stiles just long enough for him to reveal how he truly felt about her, even after all these years. He trusted Lydia to remember him and bring him back. We need to have the same faith. At first he was a lovable villain, then he was our favorite character in Legends of Tomorrow, and then …then he was sacrificing himself for the team. And that’s not even what hurt the most, what hurt the most is that he got to have one final moment with Mick, his almost-brother, one final moment with Sara, the woman he might have had an epic love with. It’s the possibilities that hurt. It’s that we could have had more than we did. And yeah, there’s also the fact that the Legends have a time machine. Can’t they fix this? Let’s hope 2017 is kinder to our favorite TV characters than 2016 was. Fingers crossed. Journalism student.Aspiring fan studies researcher. Dreams of writing for Entertainment Weekly. Loves all things fandom. The Blacklist blogger. Coldplay fanatic.